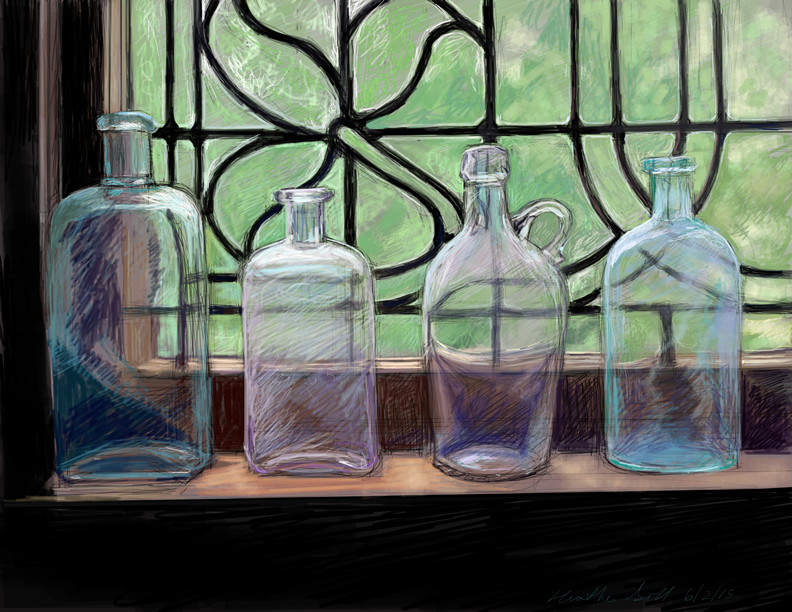 I took photographs of some old bottles that I placed on our window sill. When I am drawing on the computer, my monitor is large enough that I can look at the photograph while I draw on the software canvas. I am drawing using an intuos tablet and pressure sensitive stylus. The software that I use is Painter 12. I start with very loose sketching and blocking out some colors to try to get the composition worked out. On the left of my monitor is the photograph that I’m referencing, and on the right is the Painter 12 canvas. 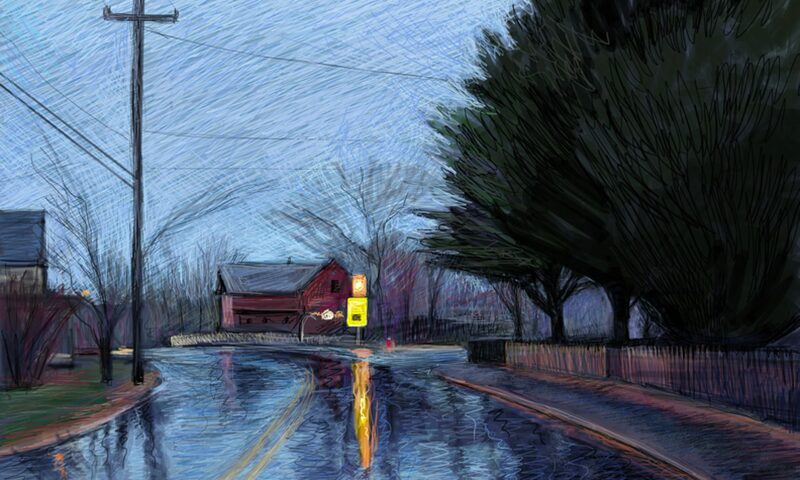 I am using the fine tip marker tool in Painter, using various widths and opacity.